We want to reconnect with you! We are currently developing our Alumni Relations Program and we need your help reaching out to your fellow graduates and friends from the school. We would love for everyone to register in our directory using the link below. If you have kept in touch with other SJE Alumni, it would be greatly appreciated if you would forward them a link to this page. The 2017-2018 school year is the 60th year of classes at St. John the Evangelist Catholic School! All St. John's alumni and their families are invited to join us for Alumni Night! Join us for Spirit Night activities, walk down memory lane, girl's basketball games, fellowship, and refreshments. Prior to the games, SJE Family Connections will have activities for families, including making posters for the basketball games, getting SJE temporary tattoos, making hairbows in St. John's colors (fabric/ribbons), make your own trail mix, and mini waters. The school will be open for a walk down memory lane. View yearbooks, photos and newspaper clippings from days gone by. Visit classrooms and see how the school has changed and what's stayed the same! 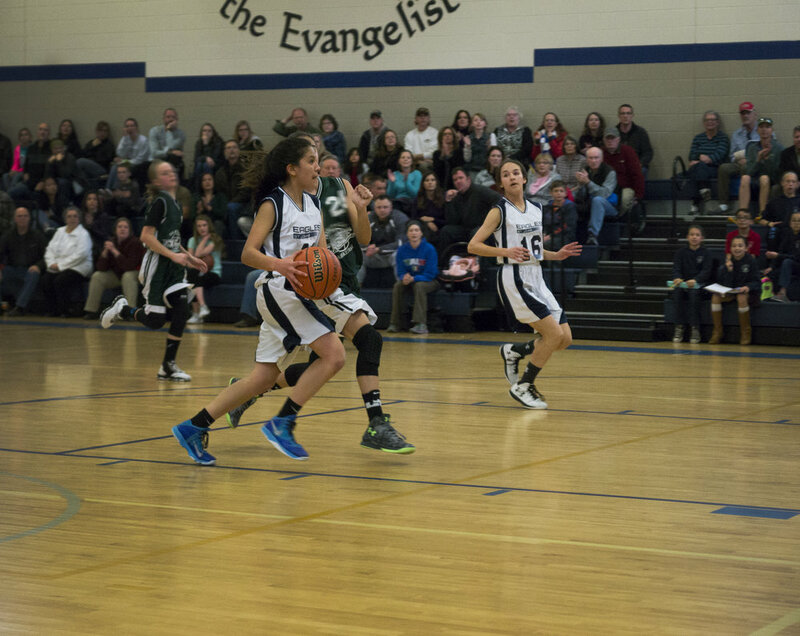 Cheer on the girl's basketball team as they play St. Joseph's Catholic School! JV Girls basketball starts at 4:00pm. Varsity plays at 5:00pm. Drinks, cupcakes, music, and fellowship! Hope to see you there!